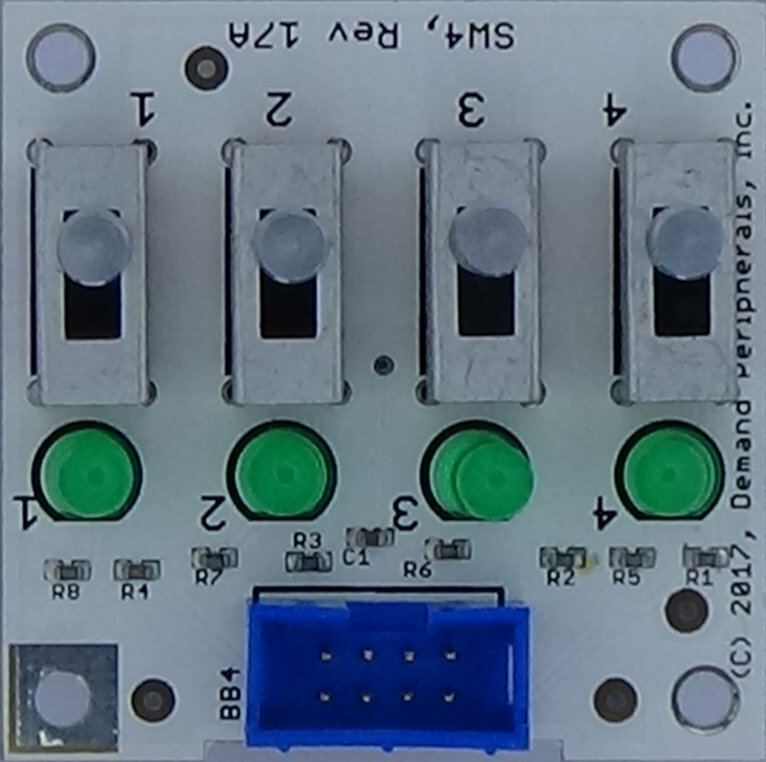 The SW4 Quad Switch Card has four slide switches and LEDs to indicate the position of each switch. This card can be used with our without the FPGA card. The quad slide switch card can be either polled or event driven when used with the "in4" FPGA peripheral and driver. This means your program does not need to poll the switch looking for switch movement. The schematic and layout of the quad slide switch card are shown below. 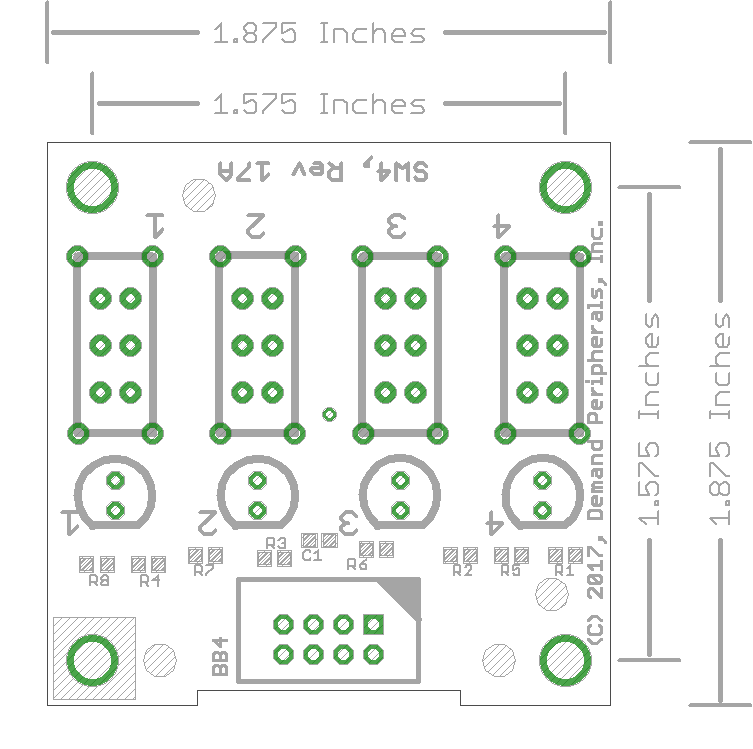 The Eagle schematic and board files are available here: sw4.sch and sw4.brd. The bill-of-materials is available here: sw4.txt.